Carter Gibson, the Program Manager for Google+, announced the new option for moderators. Accessed via the overflow menu in a post, selecting this option will remove the offending person and spam content, report said content for review, and prevent that person from rejoining the group. While I am not entirely sure it will help with the overarching problem, at least it looks like a step in the right direction. And I hope that it will be more effective than the last measure that Google implemented for this purpose. 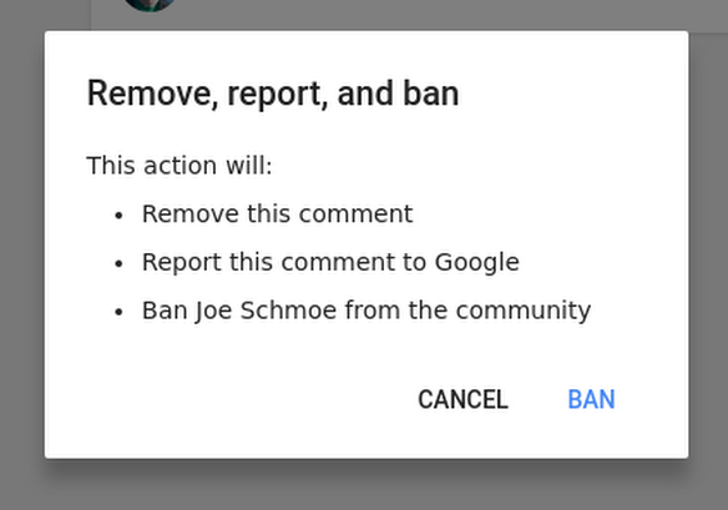 The "Remove, report, and ban" option should now be available to all community moderators.